Matthew was a Revolutionary War soldier. 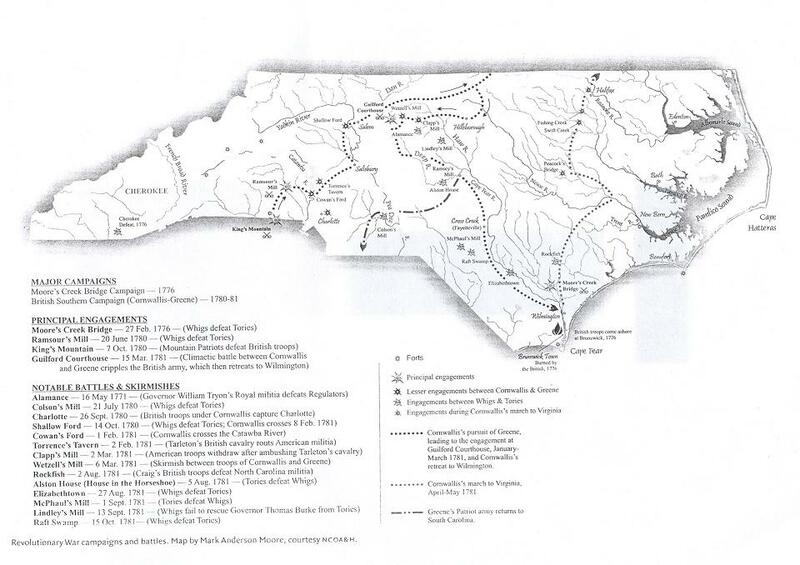 (see map of Revolutionary War engagements in North Carolina, by Mark Anderson Moore, courtesy NCOA&H). When he returned from the war, he built his house on Possum Quarter Hill near Fishing Creek in Warren County. 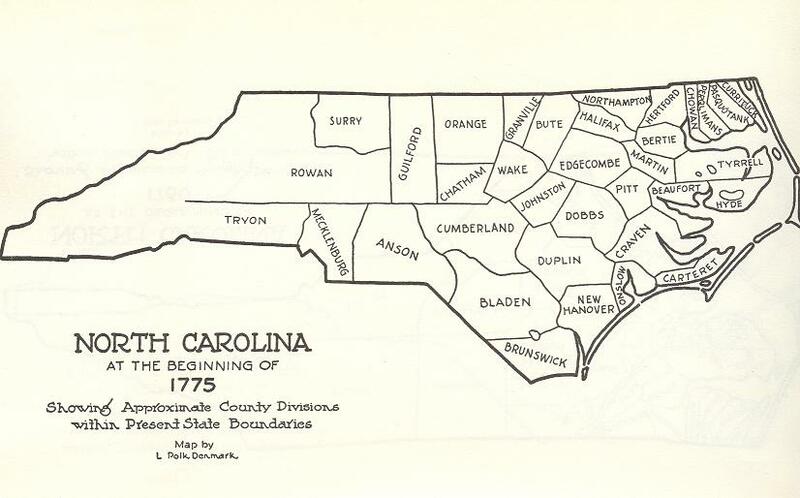 Granville County was created from Edgecombe in 1754 ( Map), then it became Bute in 1764 ( Map), and finally Warren was created in 1779 ( Map). Bute was the Prime Minister of King George III and the residents did not like that so they split up Bute County into Franklin and Warren Counties. The 1790 Census shows Matthew T. Davis as head of a family in Warren Co., with 3 white males under 16, 9 white females and 10 slaves. Will of Matthew Davis, dated Mar 30, 1825. He left land and slaves to six children. owning a principality of thousands of acres of land and over 300 slaves." Son Stephen graduated from the University of Pennsylvania with a Degree in Medicine in 1811. His home on Main Street was one of the first in Warrenton. After the Civil War Gov. Elias Carr purchased the home. Matthew Davis willed to his daughter the land that Elizabeth and Sterling Pitchford built their home on. It is referred to as the Pitchford Place. It was located in the Creek District in northwest Warren County NC. 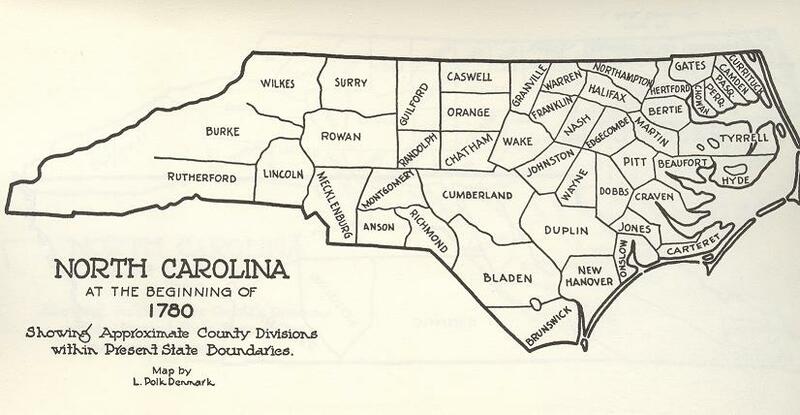 Corbitt, D. L., The formation of the N.C. counties, 1663-1943, Dept. Arch. 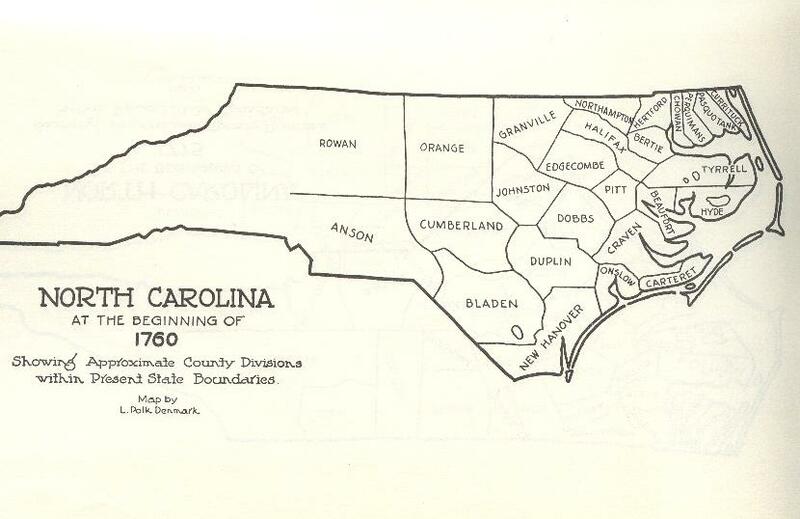 & Hist, Raleigh NC, 1950, 323pp. Skillman, Lula Hunter, ed., History of the Descendants of Peter Davis 1752 - 1952, 4th ed., Atlanta GA, 1964. Warren Co., NC, Records, Will of Matthew Davis, dated Mar 30, 1825, probated Feb 1827, Will Book 30, p. 158.